Before Barack Obama had even taken the oath of office after his historic victory, cadres of lobbyists, political hacks, oil tycoons, and right-wing politicians met to plan his political demise. The massive conservative infrastructure created by business groups beginning in the 1970s would not be sufficient, they concluded: in the age of Obama, something new—and bold—had to be done. Written by the blogger who was the first to report on the lobbyists who brought us the Tea Parties, here is a groundbreaking exposé of the plans to make America conservative again. 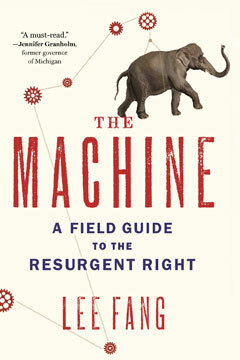 A Field Guide to the Right dissects the rise of “patriot” hate groups, touches on the role of New York City’s most celebrated billionaire in financing the fodder for Glenn Beck and Congresswoman Michele Bachmann, and exposes how former Bush operatives and current trade association heads have cleverly adapted to crush Obama and progressive reform. For anyone interested in comprehending the new landscape of the conservative movement, here is an essential guide to the people, the money, and the strategies that make it tick.